Welcome to the site of the III International Conference on Colloid Chemistry and Physicochemical Mechanics! The Conference is dedicated to the bicentennial of discovery of electrokinetic phenomena by F.F. Reuß in 1807. 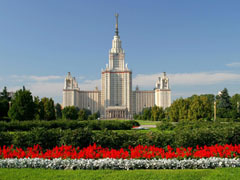 It took place in Moscow, Russia, from 24th to 28th of June, 2008.